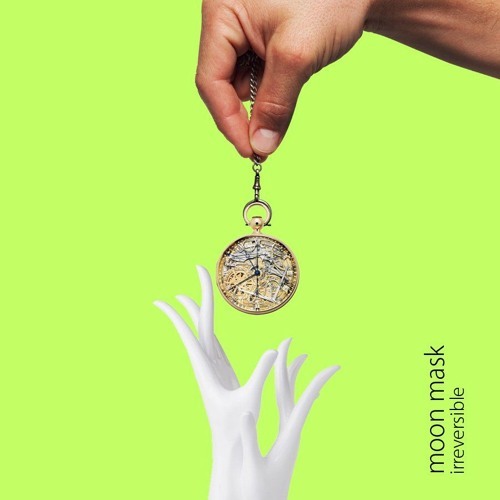 moon mask is the artist formerly known as Ulzzang Pistol, a change that occurred at the end of Ulzzang's finale, the Zoom Lens-released Waste. The Quezon City, Manila-based newly named moon mask is now prepping to release his debut EP under the new moniker, Irreversible, and in the lead-up has dropped the first taster, 'Gone (in a moment)'. With pinging delayed guitars and staccato steel-pan synth chords painting a electro-tropical backdrop, a strong retro beat beating bouncy time, the whole thing drips in reverb like a hazy, soft-focus watercolour, painting memories tinged with regret, the combination of groove with the bass and beat, the spacey melancholic instrumental and vocals – positive melancholia? – reflects the bittersweet nature of the lyrics and meaning; a blast of pop as pop should be: catchy and meaningful. mm spoke a little to me via email about song and the EP. "They're based on romantic pursuits I had long ago, written to be more general and relatable to anyone sharing similar experiences," he explained. The song "focuses on the feeling of getting a connection with a stranger at a certain place and all the thoughts that argue in one's head regarding them making the first move or not." "it's a bit pessimistic since the song is saying that there is only but little time and that the person will be gone eventually and even if one does make a move, relationships do end and someone has to leave." The Irreversible EP will be self-released on... date TBA.